Through our Orthopaedic Associates and the Therapy & Sport Center, Fort HealthCare’s Sports Medicine program provides comprehensive care from diagnosis to surgical or non-surgical treatment and rehabilitation. Our interdisciplinary team is made up of three orthopedic surgeons and five athletic trainers. Dr. Paul Schuppner, an orthopedic surgeon, completed a fellowship in sports medicine and is one of two in Jefferson County. The team works with you to develop treatment that is patient-centered and focused on maximizing your participation in the sport and physical activities you love. They are brought to you by Fort HealthCare’s Orthopaedic Associates and our Therapy & Sport clinics in the surrounding communities. 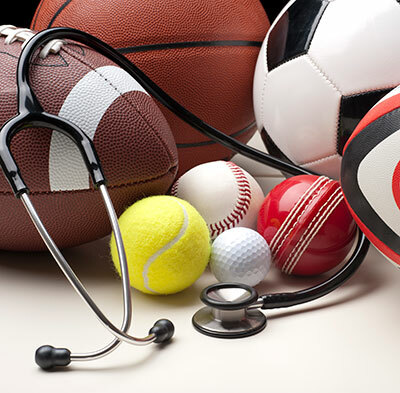 Sports Medicine is the practice of medical principles related to the science of sports. Our orthopedic surgeons have years of experience treating a wide variety of injuries, including sports specific and exercise-related musculoskeletal injuries. When you are passionate about a sport or sport-related activity, whether it is basketball, kayaking, or even taking long walks it is hard to accept a physical limitation that can enable you from doing those activities. On the bright side, you do not need to live like this! With the help of our orthopedic surgeons and licensed athletic trainers, you can get back your athletic quality of life.